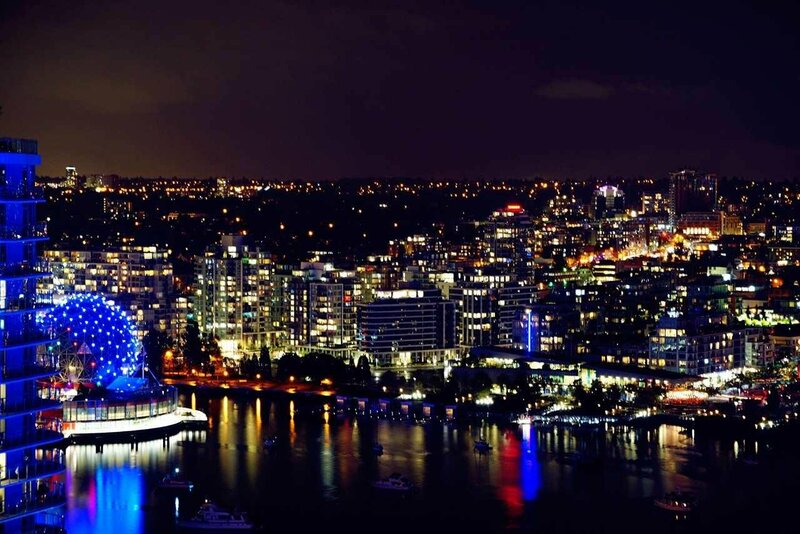 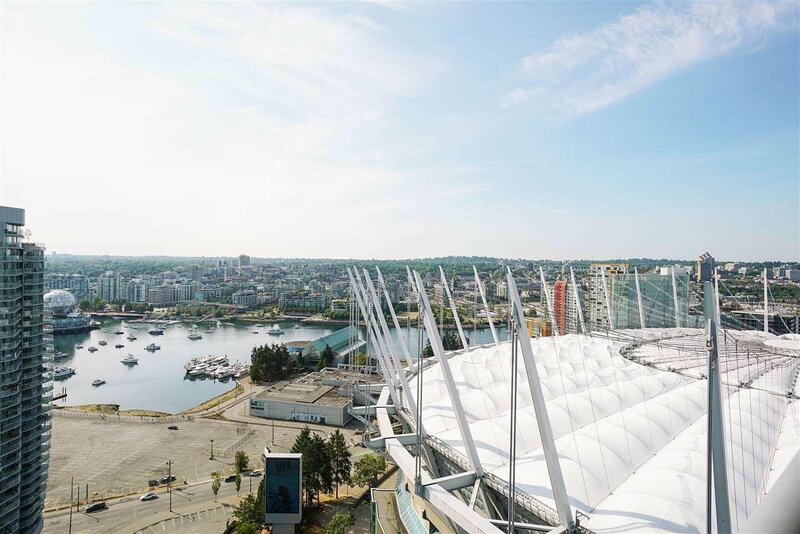 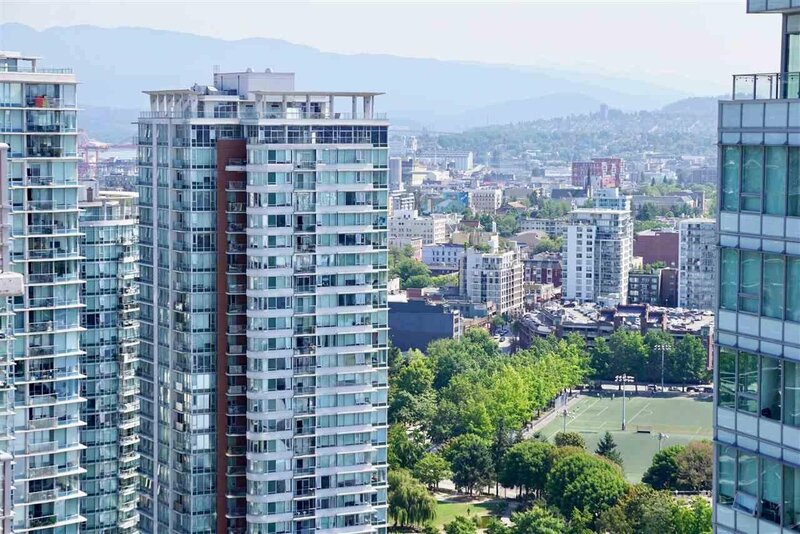 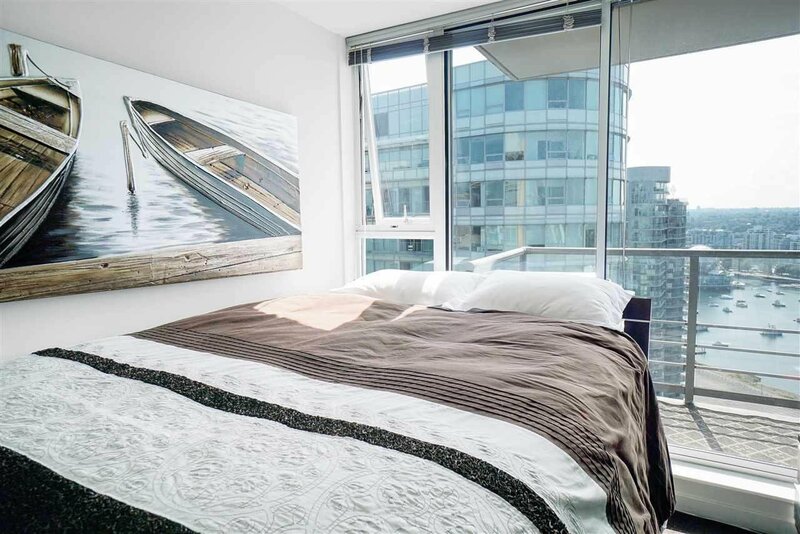 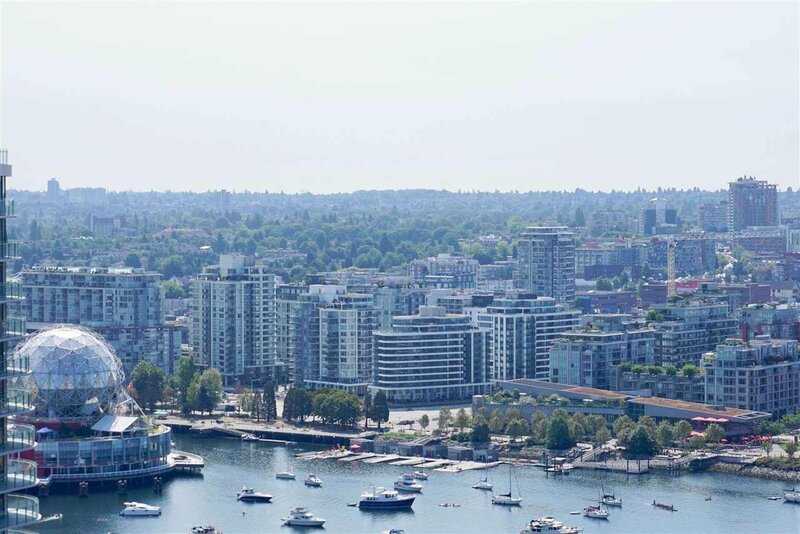 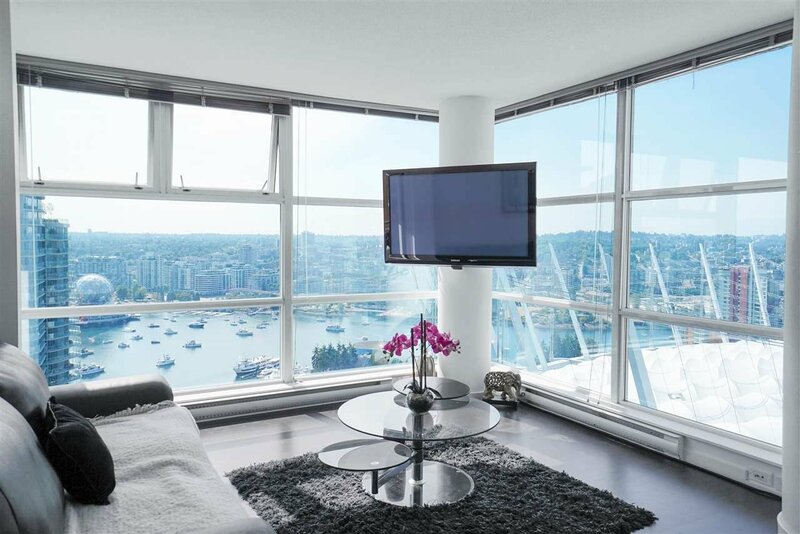 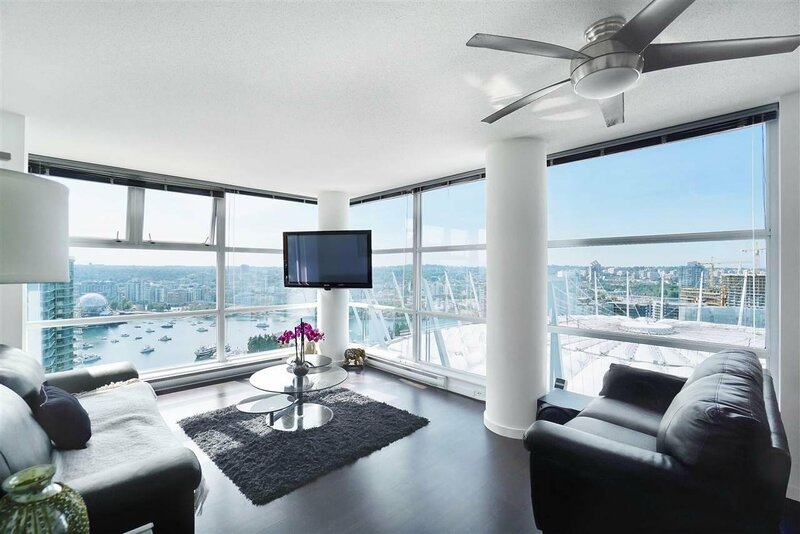 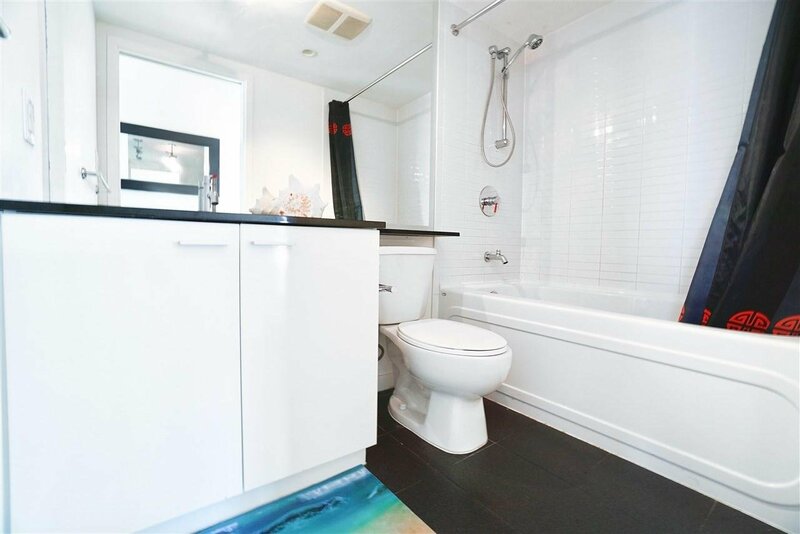 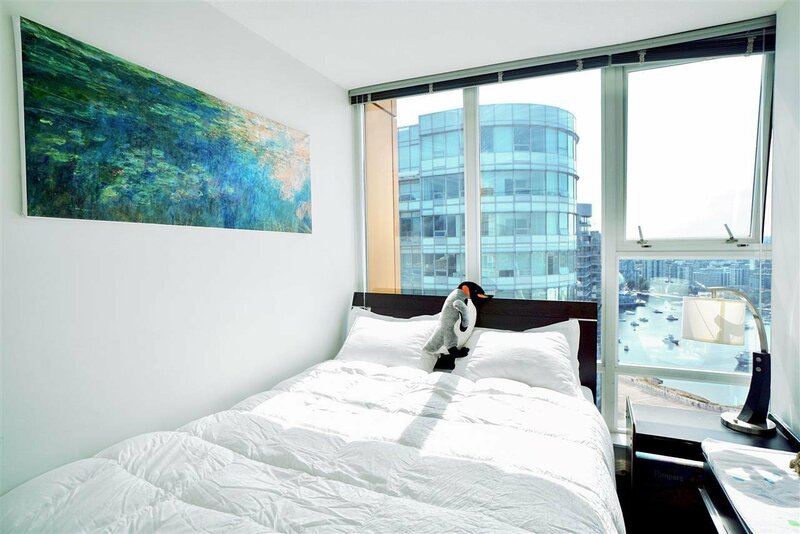 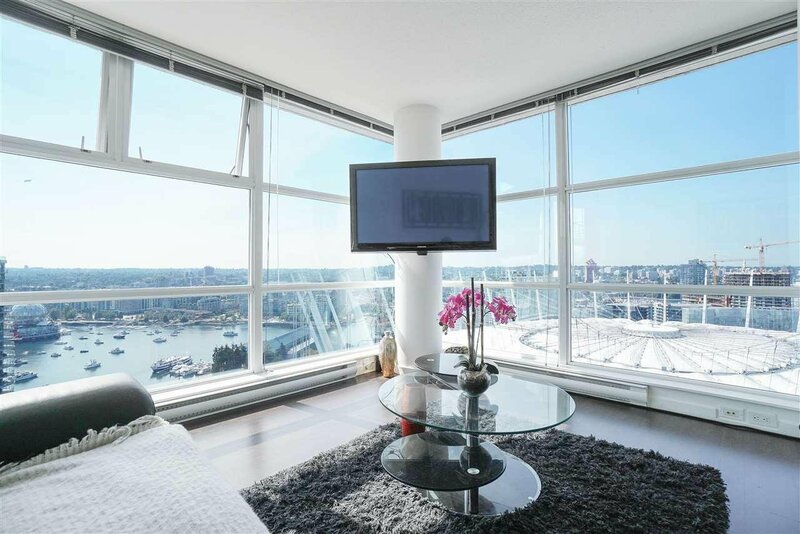 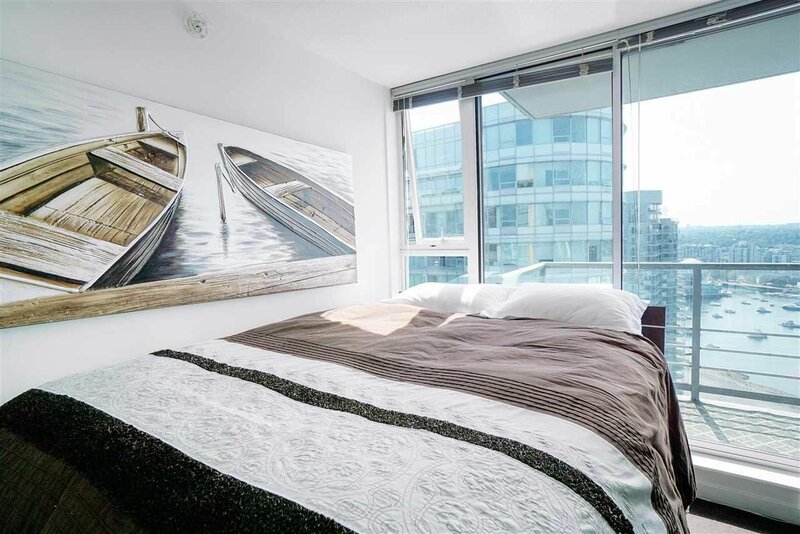 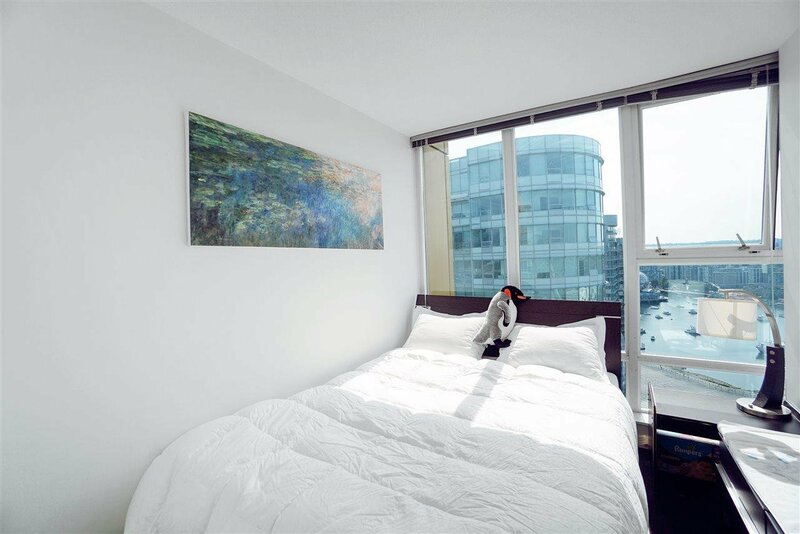 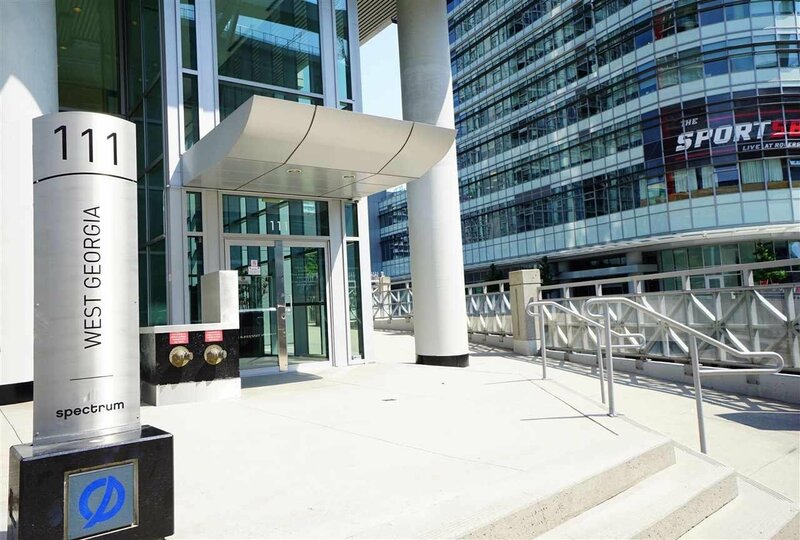 Located on the best water view side of the Spectrum complex, with spectacular views that over look False Creek North and the city, this is an amazing opportuntiy to purchase the only available water facing unit in the building. 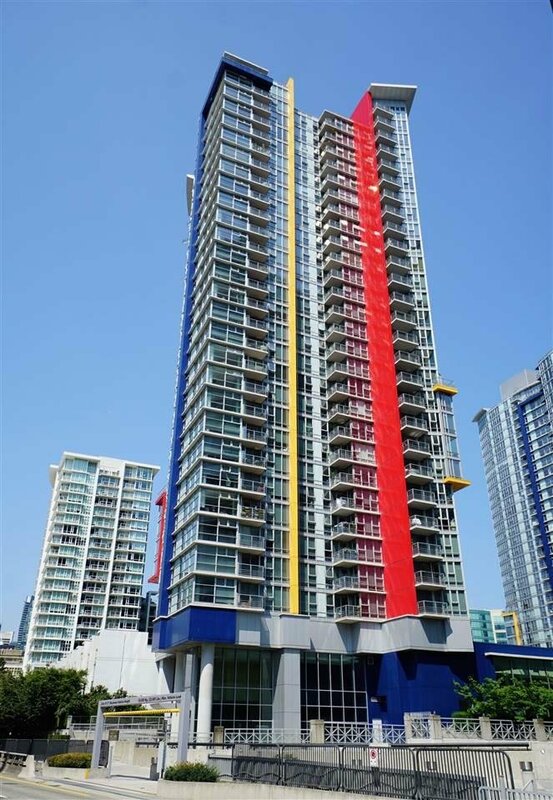 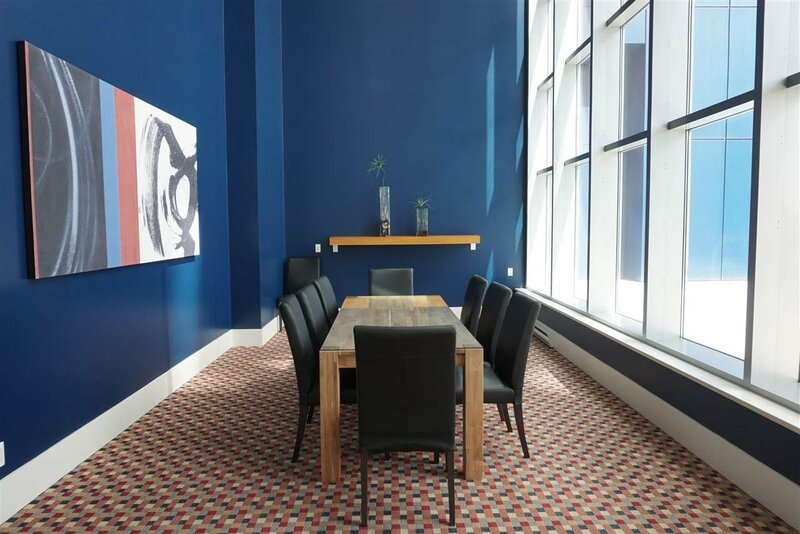 Upgraded, sub-penthouse, 2 Bedroom + Den/Storage, corner unit, is located on the 31st floor of Spectrum I. 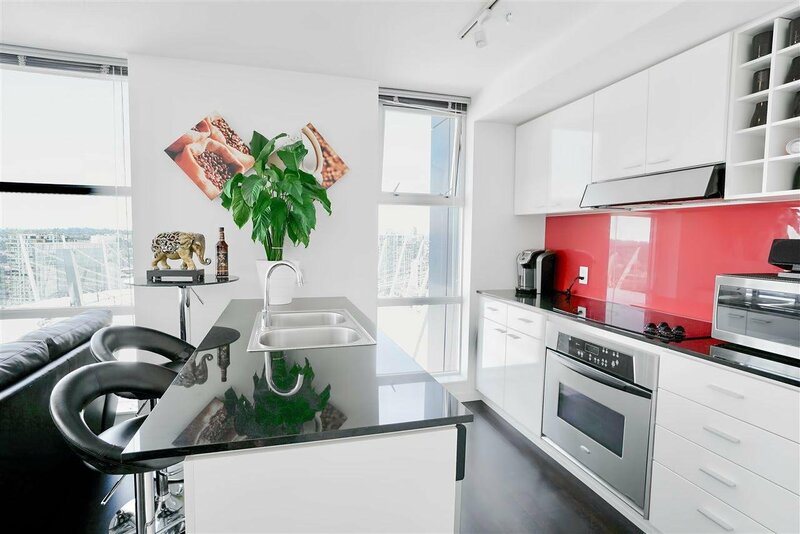 Equipped with stainless steel appliances and granite counter tops throughout the kitchen & bath. 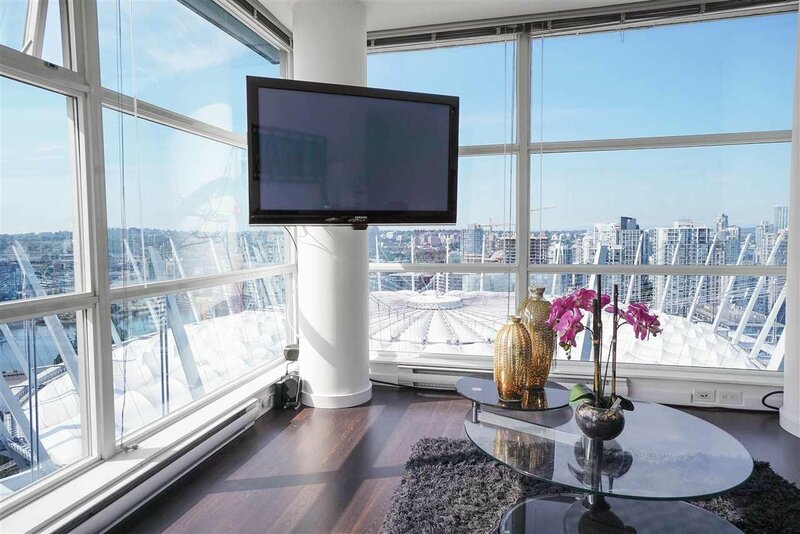 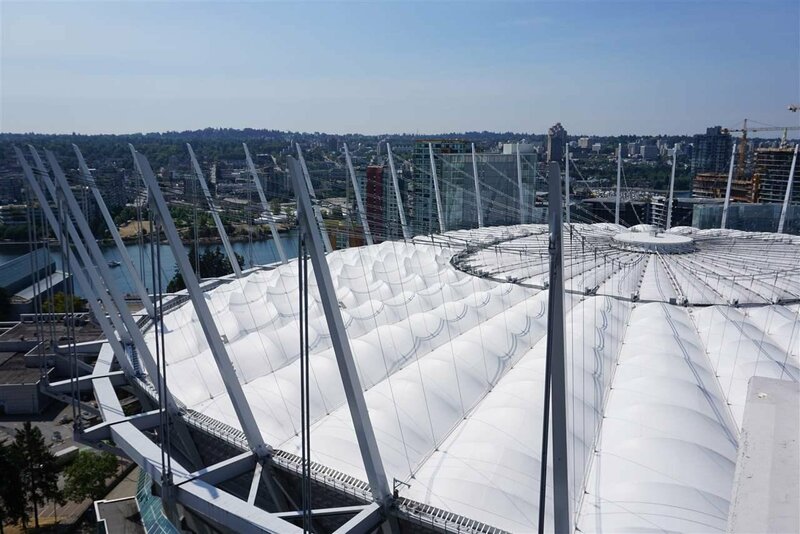 With BC Place to the right, Rogers Arena to the left, Costco below, this unit is perfectly situated at the entrance of Vancouver's newest arts and entertainment district Georgia Plaza. 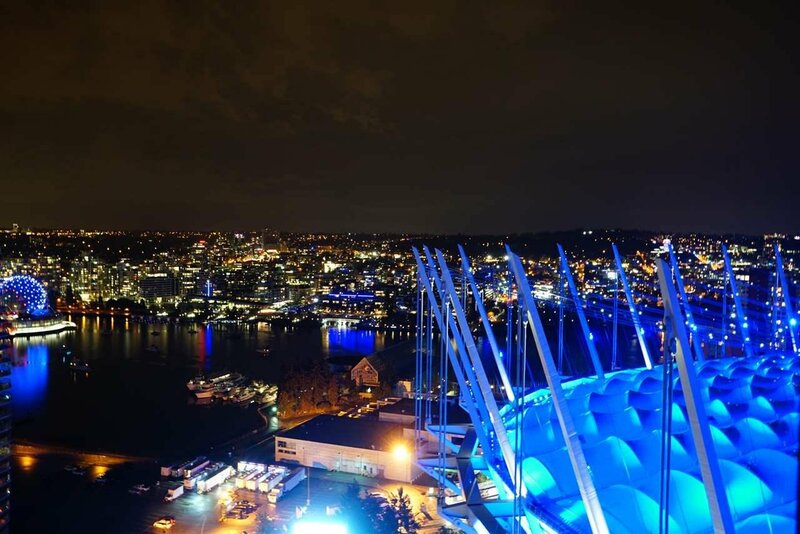 It's the ultimate location to be at the center of it all. 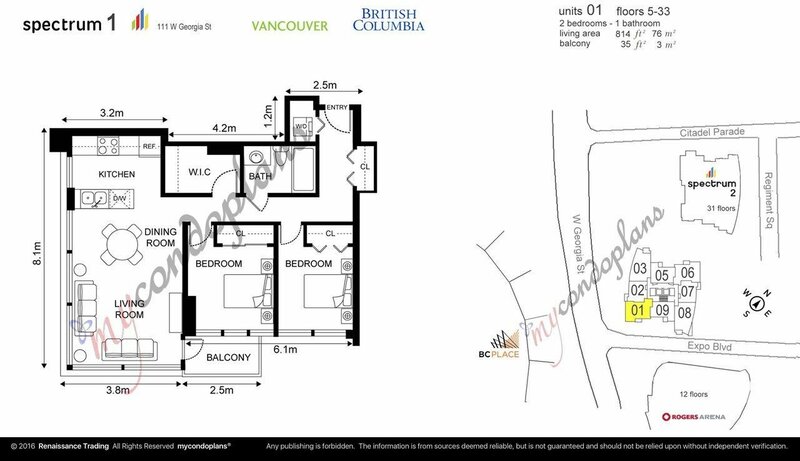 Parking stall, gym, sauna, hot tub, & pool etc.